The fully automatic Dr. Frei M-110W Digital Blood Pressure Monitor enables a fast and reliable measurement of systolic and diastolic blood-pressure as well as pulse by using the oscillometric method of measuring. This monitor features a blood pressure level indicator, CAM technology (Clinically Accurate Measurement) Irregular Heartbeat Detection, 2 users function, alarm system (2 reminder sounds), and an average calculation of day/night/all stored results as well as 60 memory cells for each user. Blood pressure is a measure of the force that your heart uses to pump blood around your body. Blood pressure is measured in millimetres of mercury (mmHg). The readings are given as two numbers or levels. The systolic reading is first – the level of pressure when your heart pumps blood through your arteries and around your body. Followed by the diastolic reading - the level of pressure when your heart is resting before it pumps again. You will find the blood pressure level indicator located along the left side of your wrist blood pressure monitor in the display. 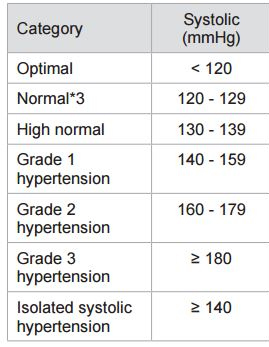 The classification corresponds to ESH (European Society of Hypertension). After the measurement appears the colour bars in the left part of the display: green zone - optimal blood pressure, yellow - elevated, orange - too high, red - dangerously high. 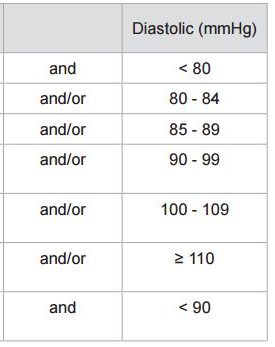 This function helps you to self-assess the measurement results. CAM Technology enables you to take very accurate blood pressure measurements at home. Cardiologists recommend that you always take several repeated measurements and calculate their average values. In CAM mode, the device automatically takes 2 measurements in succession, analyses the results and displays an average. This technology indicates an allorhythmic heartbeat. If the symbol of IHB appears on the display that means that an abnormality in heart beat frequency was detected during the measurement. In this case, the result may deviate from your normal blood pressure – repeat the measurement. In most cases, this is no cause for concern. However, if the symbol appears on a regular basis (e.g. several times a week with measurements taken daily) we advise you to tell your doctor.